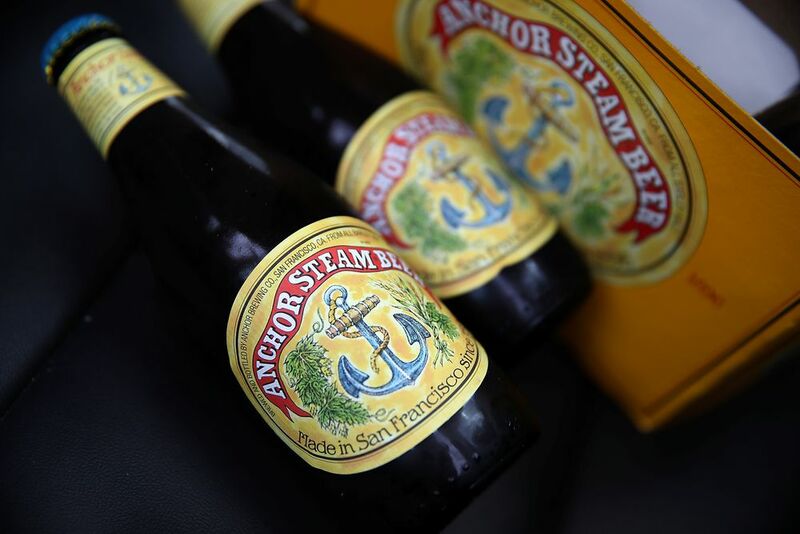 If the last 50 years of American craft beer has a liquid godfather, it’s Anchor Steam. “In my mind, it’s the first craft beer,” says Randy Mosher, author of Tasting Beer and one of the world’s leading experts on the drink. Even more than that, Anchor Steam is a singular achievement in American food and drink: It’s the sole commercial representation of the oldest indigenous beer style in the United States. In fact, steam beer is one of the few styles born in the U.S. The others readily recognizable today are cream ale, kept alive in its dark ages 60 years ago by Rochester, New York-based Genesee Brewery; and modern light beer, introduced by Miller in 1975. Then there’s the steam-like Kentucky Common and the anise-flavored Pennsylvania Swankey, both long dead by the time interest from 21st-century beer geeks led to their reanimation. But while cream ale waxed and waned — Genesee Cream Ale was a creature largely of the Northeast until just recently — and light beer had to await the Miller-Bud wars of the 1970s and 1980s, the at-least-150-year-old steam style chugged along uninterrupted, save for a Prohibition-related disruption from 1920 to 1933. It owes that survival in large part to Anchor Steam, a slightly sweet, caramel-y standout that truly tastes different in a craft beer world of ever-bitterer India pale ales and increasingly funkier seasonals (spiced pumpkin beer, anyone?). It is a beer that cuts across tastes and events, a beer as perfect for spicy as for savory, one for the ball game as for the business lunch, a bibulous beacon in a beer world of dry, alkaline pilsners and impossibly bitter, strong IPAs. From the bottle or the glass, Anchor Steam works. This reputation is hard won and, like its native land, a work in progress. But the Japanese brewing giant Sapporo took over Anchor Brewing Co., Anchor Steam’s maker and California’s oldest brewery, this past summer, leaving its fans to ask,what’s the future of steam? In the mid-1800s, especially after the discovery of gold, Americans started pouring into territorial California. Most were of northern European descent, and so lager was one of their choicest drinks. Lager dates from perhaps the Middle Ages, but really started to boom in the 19th century, when Bavarian brewers started experimenting with bottom-fermenting yeasts and, colder fermentation and aging using deep caves and cellars full of ice. (That was a departure from the top-fermenting yeasts and warmer temps that defined much older ale). The cold requirement made lager difficult to come by in the newly settled West Coast because, unlike back East, there were no ready sources of lots of ice. Plus, mechanical refrigeration would not emerge in the American brewing industry until the 1870s. What to do when the new arrivals wanted beer? Rudimentary breweries like Anchor started cobbling together what ingredients they could, and brewing at ale-like temperatures with lager yeast, chemistry be damned. The ingredients amounted to brewing potpourri. Malted barley or wheat would have been the top two traditional grains for brewing, but neither was readily available (for beer, at least), so early West Coast brewers used grits and cereals as sugary fuel that the yeast could convert to ethyl alcohol. Add some more sugar and some hops, plus that lager yeast, and there you had it: a new style of beer. Except not exactly. There is no agreed upon etymological back story for “steam” beer, but many theories. It could have been that pressure, or the sound that release of that pressure made when barrels were tapped and bottles opened. There’s also the theory that early batches of the brew were cooled on San Francisco rooftops, and the Pacific breeze collided with the just-boiled, pre-fermentation beer, throwing off clouds of steam. Then there’s the one about American brewers of German descent naming this ad-hoc creation after dampfbier back in the old country. Dampf means “steam,” and that beer was born in a remote area of Bavaria with whatever ingredients were readily available. Sound familiar? Whatever the origins of its name, the style took. Pre-Prohibition accounts have breweries throughout the West making this hastily invented, rudimentary lager-ale hybrid by the start of the 20th century. And that might’ve been steam’s peak were it not for laundry money. In its earliest decades, the Anchor Brewing Co., which debuted in 1896, endured a pair of fires that wiped out two locations, not to mention the death of two owners — one when he fell from one of San Francisco’s newfangled cable cars. Then it survived Prohibition and the post-World War II consolidation of the brewing industry that destroyed so many of its smaller brethren. It limped into the 1960s with antiquated equipment and a single employee — probably the smallest working brewery in America and likely the only one making steam beer in large quantities. In the 1960s, big operations such as Anheuser-Busch and Miller were hoovering up market share with uniformly made pilsner that tasted much blander and sweeter than its Czech original. These homogeneous beers could be bottled and canned, and then shipped far and wide, thanks to preservatives and refrigeration, never mind the new Interstate Highway System. Bud, Miller, Coors, Pabst, et al, tasted the same wherever it landed — that is to say, watery and slightly sweet (“alcoholic soda pop,” as Sam Adams’ originator, Jim Koch, once so perfectly described it). Anchor Steam, on the other hand, was a culinary freak show. It was available only in kegs because a dearth of retail accounts did not justify the expense of bottling or canning — and the brewery probably couldn’t have done so without releasing case after case of sour or spoiled steam. Anchor Brewing and its signature beer would both surely be gone soon, dying embers in a once-blazing American beer landscape. But, crucially, Anchor’s remaining retail accounts were loyal, if for no better reason than nostalgia for a San Francisco original. One of those accounts was the Old Spaghetti Factory, a campily decorated bar that served as an early counterculture siren. In August 1965, Old Spaghetti Factory owner Fred Kuh ambled over to one of his regulars, a trim, bespectacled, 20-something former Stanford graduate student in Japanese studies. The young man was drinking the only beer that Kuh kept on draft: Anchor Steam. In an exchange now all but sacral to craft beer aficionados, Kuh asked his regular if he had ever been to the brewery; when he replied in the negative, Kuh encouraged him to pay it a visit. The next morning, Kuh’s regular walked the roughly mile and a half from his apartment to the brewery then on Eighth and Brannan Streets; and, after poking around a bit, bought a 51-percent stake for what he later described as less than the price of a used car. The young man could do so because he was Fritz Maytag, an heir to the home-appliance fortune his great-grandfather founded. The idea of owning the last small-batch, traditional brewery in San Francisco — maybe in America — appealed to him. “I was just enthralled with the idea of a business that had character, and history, and curiosity,” Maytag told the San Francisco Chronicle in 2015. “Plus, it was so little money.” Maytag would buy full control of the brewery in 1969, and then set about radically reforming its signature offering. He ditched the sugar and food coloring that the old Anchor was using, and switched to all malted grains, especially crystal malt (aka caramel malt). He started using the Northern Brewer hop, a relatively young breed from England. Finally, Anchor introduced a yeast strain specific to its steam beer — improbably, the brewery had occasionally been using baker’s yeast out of desperation, according to Randy Mosher. The end result of these changes was a consistently delicious and unique beer ready for bottling, which Maytag finally did in April 1971. It was soon available beyond California, especially in Colorado and parts of the East Coast. It was a curiosity at the time, a bubbly, malty, kind of bittersweet alternative to the watery pilsners dominating the marketplace. 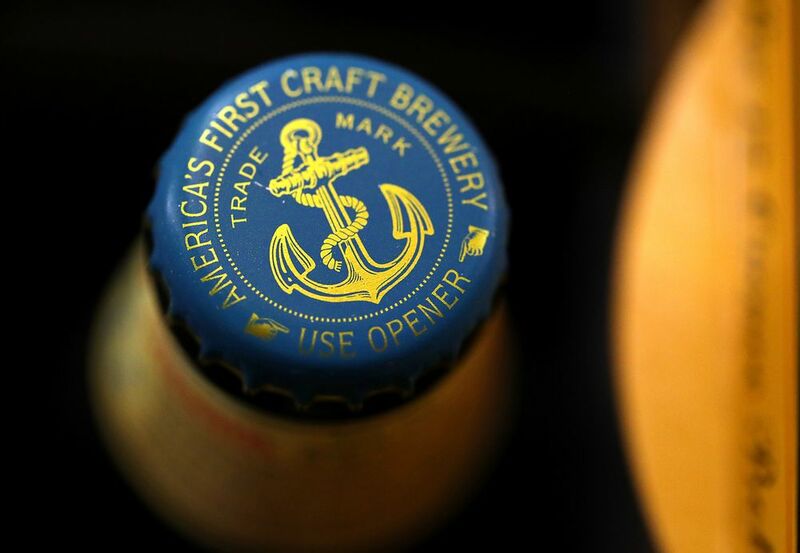 “We were what the whole craft brewing industry is today: a combination of modern food science technology and traditional brewing,” Maytag said in 2015. “It was a unique combination. That was really our secret.” Anchor Steam would remain largely a San Francisco curiosity throughout the 1970s, until that wider distribution and a cresting craft beer wave in the 1980s carried it farther and further than ever before. Anchor Steam was acquired by Japanese brewing conglomerate Sapporo in August 2017. The wider net also meant the widest reach yet for steam beer. Anchor Steam, of course, was but a vestige of the frontier original. But it was the only steam beer in town, so to speak: Maytag’s brewery received federal permission to trademark “steam beer” in August 1982. Stylistically vestigial or not, steam beer was Anchor Steam, Anchor Steam was steam beer. Maytag, who’s now 79 years old, hasn’t been involved day-to-day with Anchor since 2010, when he sold control of the brewery to a pair of investors best-known for popularizing Skyy vodka. It was those investors who sold the brewery to Japanese giant Sapporo earlier this year. According to the brewery, the new owner has no intention of meddling with Anchor Steam’s recipe. It would be incandescently stupid to do so. Anchor Steam is a reinvented American original, a kind of Neanderthal of craft brewing that grew up alongside faster-evolving (European) styles such pale ale, India pale ale and pilsner, but never really interacted with them. Instead, there is Anchor Steam as it has been for decades, with a stylistic pedigree that has not left the lower 48 for at least a century and a half. Given this status and that of Anchor Brewing as the Rosetta stone of American craft breweries, that coverage of the Sapporo deal brought a chorus of obituaries for Anchor Steam as a “craft” beer. It was of the same species of faddish obsequies that followed the acquisitions of other beloved brews such as Lagunitas (to Heineken), Goose Island (to Anheuser Busch-InBev), and Wicked Weed (to Anheuser Busch-InBev again). Anchor Steam deserves the benefit of the doubt, though, for now. It’s earned it, after all. This article originally appeared on Eater.